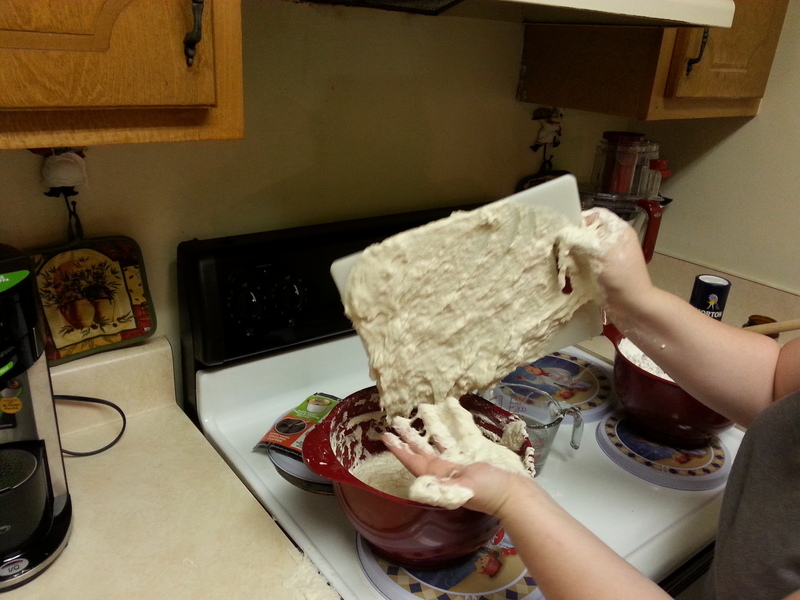 Well, Sandra, my cousin, and author of Life, Laughter, and Blogging, and I decided to make depression era bread. Depression era bread is very simple in concept. 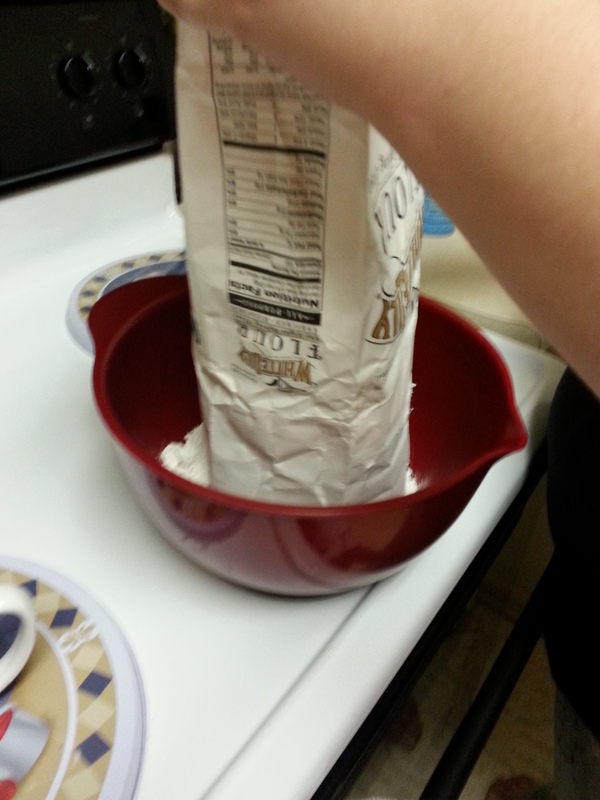 Its five pounds of all purpose flour, yeast, salt, and water. Optionally you can add butter. Well, we decided even we could do that! Dumping in the flour. We’re so excited about this point! We were following the guidelines given to us by a Pinterest post. One whole 5 pound bag of flour! 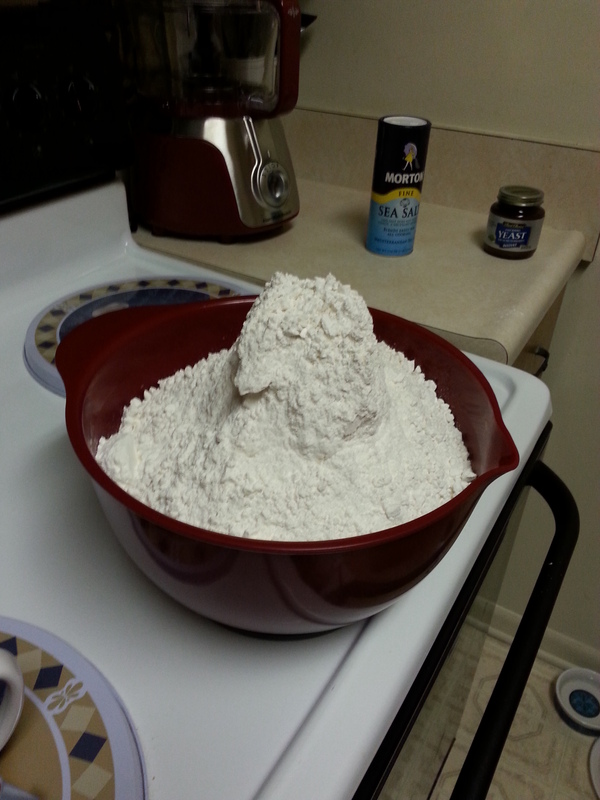 Hmm… that’s a LOT of flour. At this point we decided that the bowl was far too small. So we divided it in half and decided to start with the larger bowl. 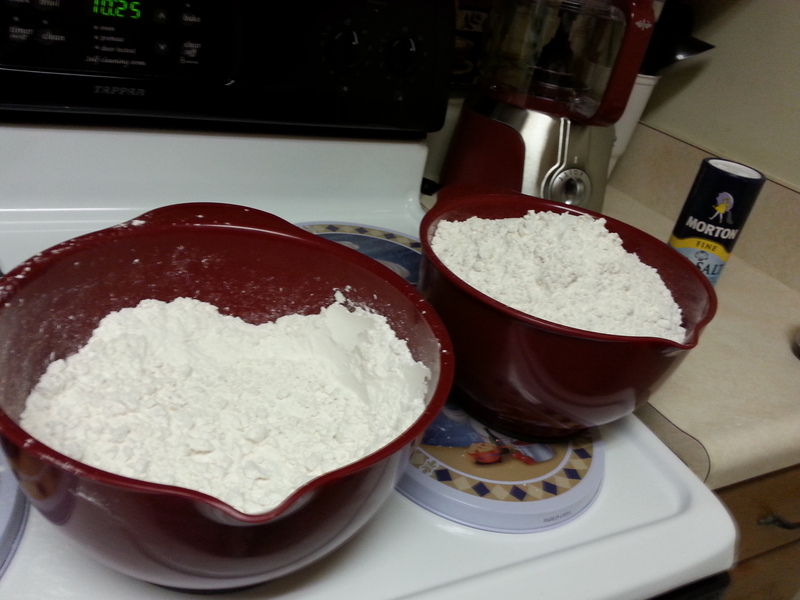 We made a well in the flour and added the warm water and yeast. I mixed it with my fingers, as the post said too. I don’t think it should be this sticky. ← Kindergarten Teaching. Is it for me?